Take the Spaulding Turnpike (NH 16) to exit 8W (NH 9/NH 155). From downtown Dover, use Silver St to NH 155. Continue through the lights onto NH 155 S (Knox Marsh Road) for 1/4 mile, then turn right. Taking public transportation can help save you time, money, and wear and tear on your vehicle! 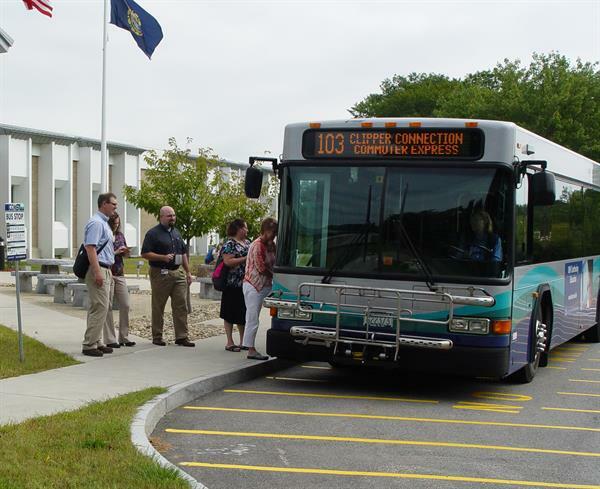 COAST provides public bus routes and accessible transportation options throughout more than a dozen communities in the greater Seacoast New Hampshire region. Our buses are modern, clean, reliable, and safe, and are driven by the most professional, friendly, and well-trained commercial operators in the state. Along with public bus routes and ADA compliant Demand Response services, COAST also operates an Express Commuter Route to the Portsmouth Naval Shipyard.